Conan, what is best in life? 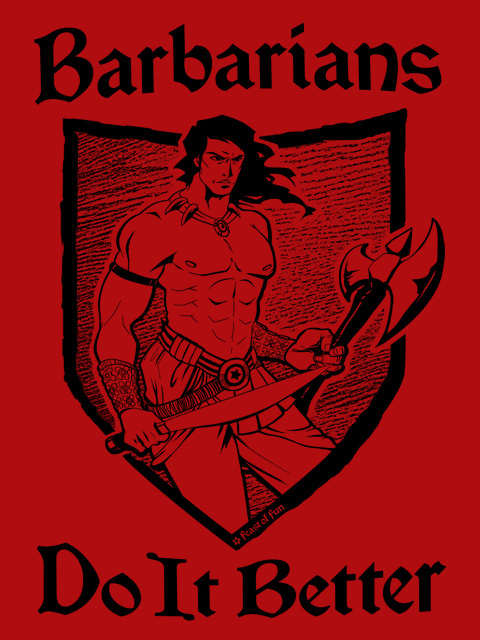 To wear your fabulous "Barbarians Do It Better" t-shirt with pride. Inspired by our love for the classic film where Arnold doesn't speak much but when he does it's campy fun. Barbarian Illustration by Rei Sato, designed by Fausto Fernós.